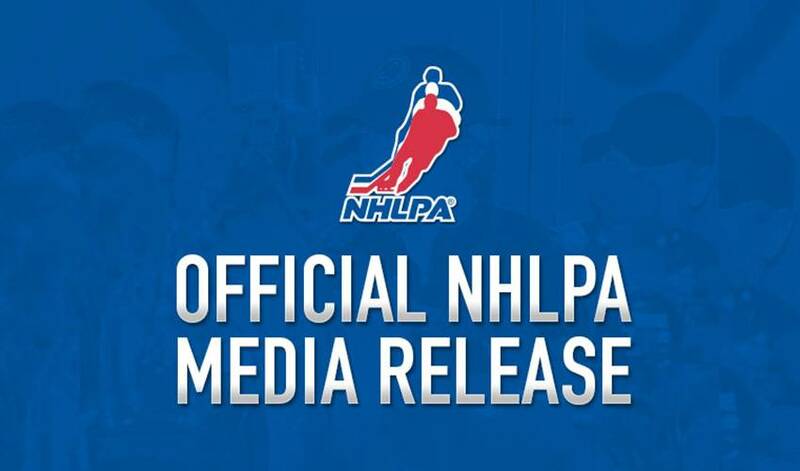 TORONTO, ON, July 11, 2012 – The National Hockey League Players’ Association (NHLPA) is pleased to announce NHL stars John Tavares and Taylor Hall have been named the coaches of the second annual Allstate All-Canadians Mentorship Cup. Fellow NHL players Jason Spezza, Tyler Seguin, Jeff Skinner, and Martin Biron will also participate in the intensive five-day camp that welcomes 42 of the top bantam-aged players from across the country. The camp will conclude with the Allstate All-Canadians Mentorship Cup, an inter-squad exhibition game, on Saturday, July 21 at 1:00 p.m. ET, which will air on TSN. The Allstate All-Canadians Mentorship Camp will take place at the Hershey Centre in Mississauga, ON, from July 17 to 21, 2012. Led by 21-year NHL veteran Gary Roberts, the camp aims to provide young athletes with the exclusive opportunity to learn from the pros about the importance of on- and off-ice skills including fitness, nutrition, and mental conditioning. The Allstate All-Canadians Mentorship Program aims to engage all levels of the hockey community at the grassroots level by providing players, coaches, parents and fans important resources through the program website, www.allcanadians.com. The website is quickly becoming a highly valuable hockey reference to Canadian players, parents and coaches at all levels. This year, the Canada-wide program was supplemented by the widely successful Allstate All-Canadians Regional Mentorship Camps, led by NHLPA Executive, and 20-year NHL veteran, Mathieu Schneider, along with present NHL players and supporting off-ice topic experts. The one-day regional camps were held in Calgary, Toronto and Halifax, and brought together more than 350 boys and girls ages eight to 15 at all skills levels selected randomly through an application process on www.allcanadians.com. Fans are invited to watch Team Hall take on Team Tavares live, beginning at 1:00 p.m. ET on Saturday, July 21. Pre-game and intermission autograph sessions with NHL players will take place. Tickets are free and available at www.allcanadians.com, and on game day at the Hershey Centre, located at 5500 Rose Cherry Place, Mississauga, ON, beginning at 12:00 p.m. ET. Fans can also watch the game on TSN. There will be media availability during the camp with further details forthcoming. Allstate Insurance Company of Canada is one of Canada’s leading producers and distributors of home and auto insurance products. ""The Good Hands Network®"" enables consumers to contact Allstate Canada through one of 92 community-based Agencies, directly online at www.allstate.ca and through the Customer Contact Centre at 1-800-Allstate. Allstate Canada is committed to making a positive difference in the communities in which it operates and has partnered with organizations such as Mothers Against Drunk Driving (MADD Canada), Crime Stoppers, United Way and Junior Achievement. In 2010, Allstate Canada, in partnership with the National Hockey League Players’ Association (NHLPA), created the Allstate All-Canadians program, a mentorship program designed to guide the next generation of Canada’s hockey youth. Learn more about this program at www.allcanadians.com. To learn more about Allstate Canada, visit www.goodhandsadvice.ca or www.allstate.ca.